then mixed with honey until evenly distributed and filtered. How to use: drink and repeated 2 days. to boil down to a cup, and then filtered. How to use: drinked 2 times a day, morning and afternoon. How to use: after a cold filtered and drunk. 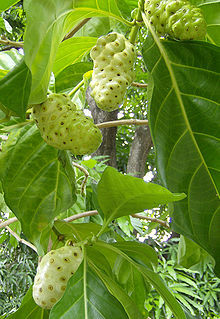 Ingredients: Noni fruit is ripe on the tree.